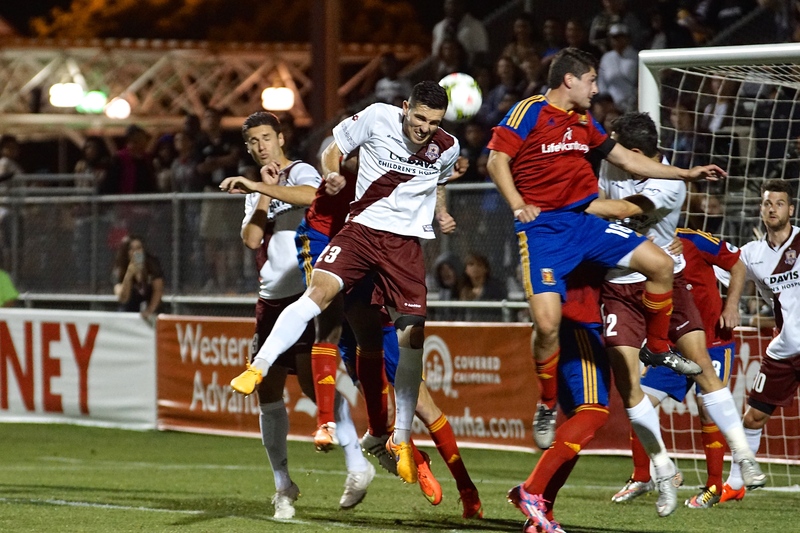 SACRAMENTO, Calif. –Sacramento Republic FC and Real Monarchs SLC play to a 1-1 draw in a physical match, in front of a sold-out crowd at Bonney Field. 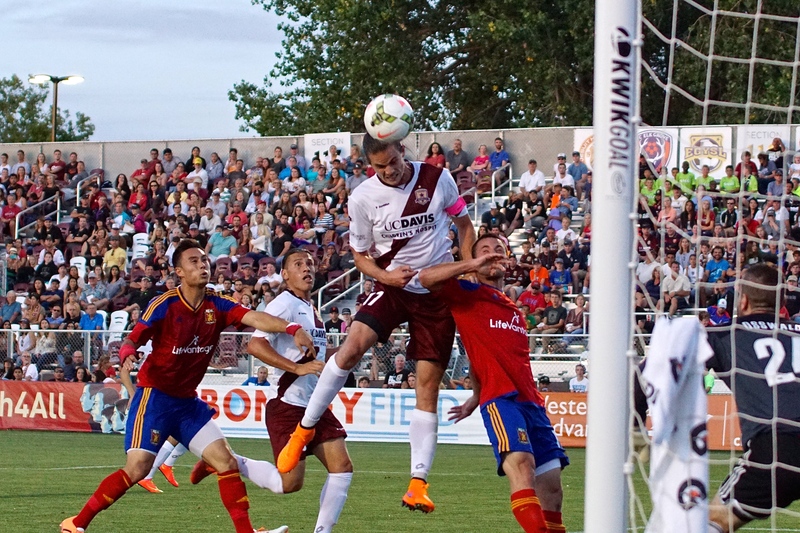 Real Monarchs SLC started the scoring early, capitalizing on a penalty in the 7th minute, after Republic FC defender Mickey Daly was called for a foul in the box. 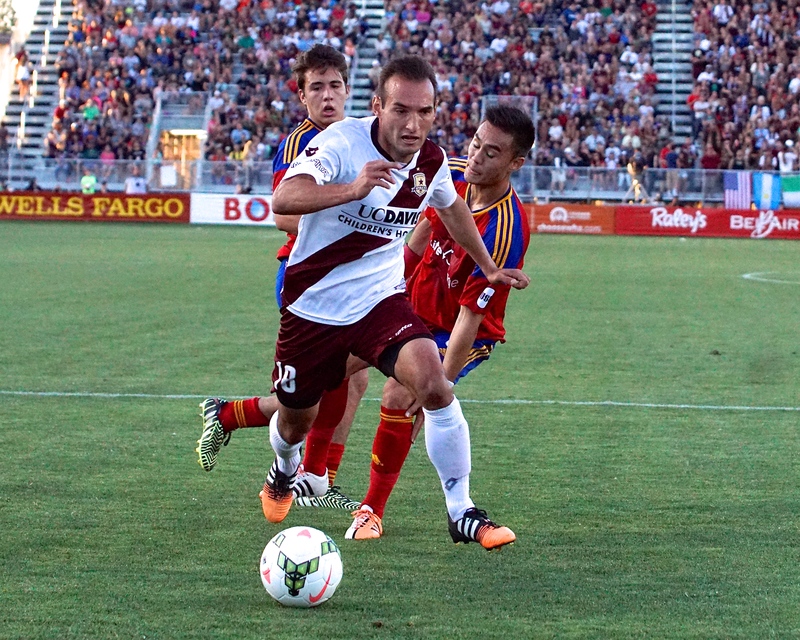 Real Monarchs forward Max Rauhofer stepped up to the spot and sent a screamer past Republic FC keeper Patrick McLain for the early 1-0 lead. 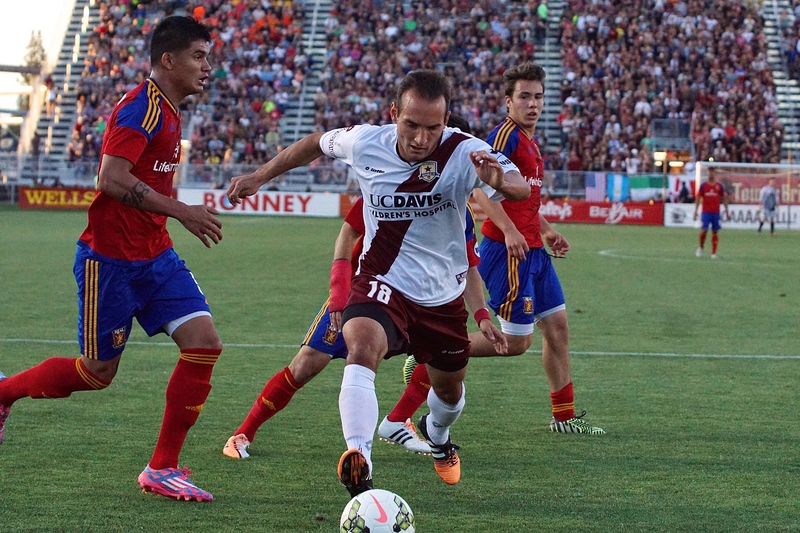 Republic FC would find an equalizer in the 19th minute. Strong build up play from the midfield led to Ivan Mirković darting up the right side of the defense and into the box. Mirković advanced all the way to the 6-yard box and blasted the ball across the face of goal. Forward David Estrada was set up at the far post and redirected the ball into the back of the net to tie the match 1-1. 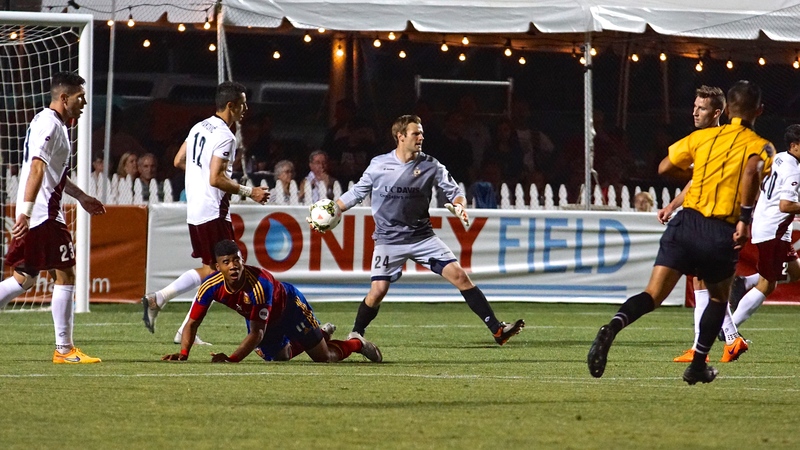 Republic FC forward Justin Braun had a chance to put Republic FC ahead in the 37th minute after Cameron Iwasa was taken down in the box. 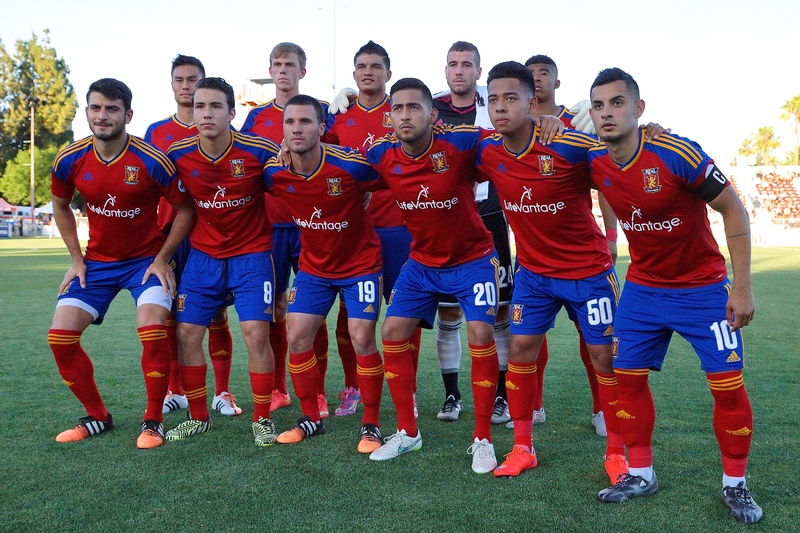 Braun stepped up to the spot and sent a shot toward the left side of the goal but Real Monarchs goalkepper Emilio Orozco guessed right and kept the score 1-1 going into the half. Both sides saw their share of opportunities in the second half. Real Monarchs had a breakaway chance in the 71st minute that was snuffed out by McLain coming off his line to clear the ball. 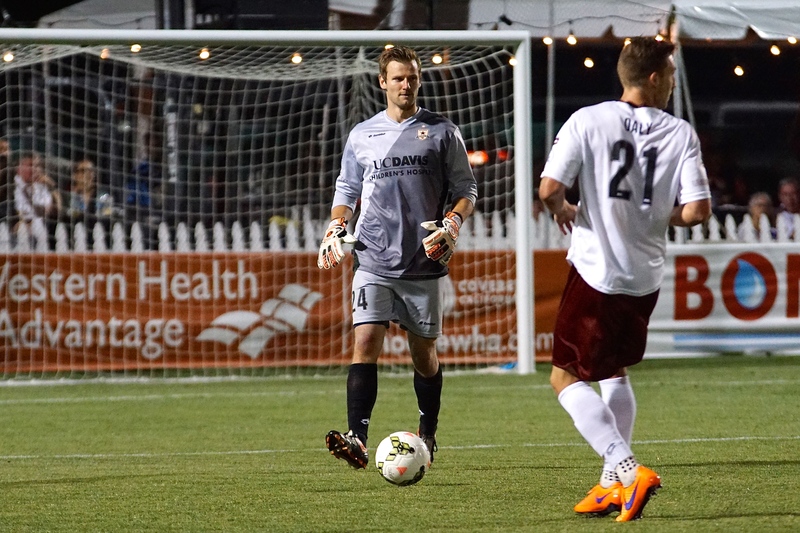 McLain was called into action again in the 77th minute when Real Monarchs forward Emery Welshman sprinted past the defense with the ball as McLain charged at him and made the save. 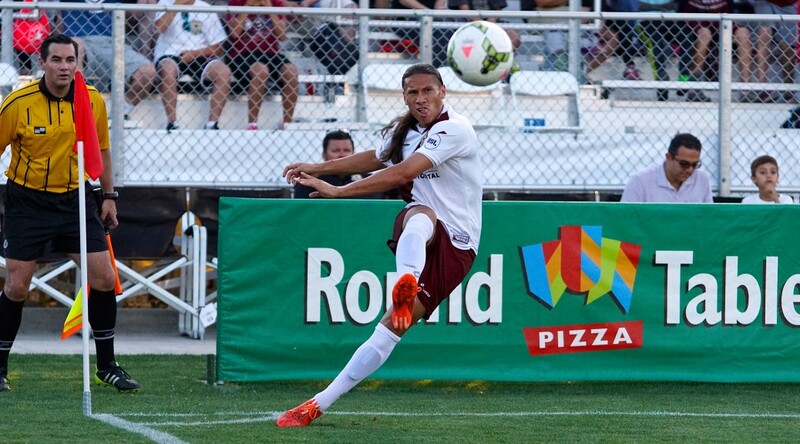 Republic FC had the majority of the chances in the second half, including a few after Emilio Orozco was sent off with his second yellow card in the 89th minute. 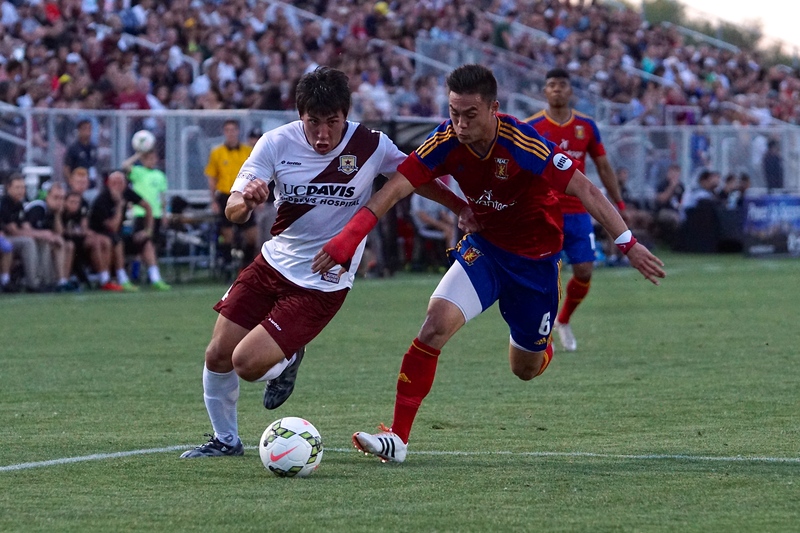 Cameron Iwasa had a breakaway chance in the 68th minute that was unsuccessful. 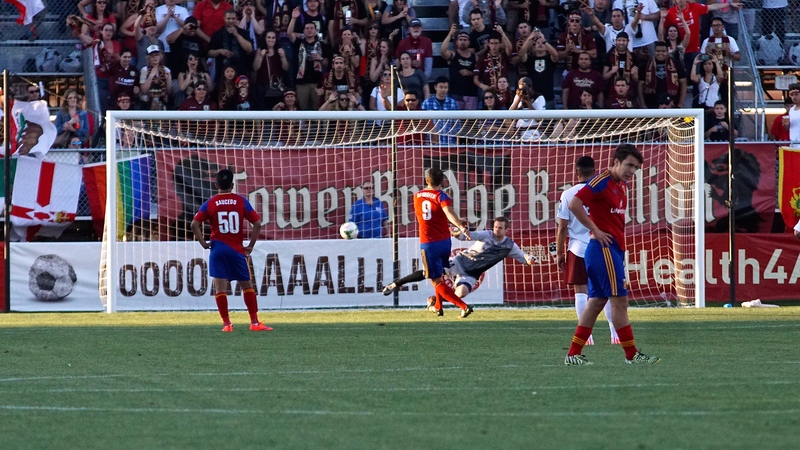 Republic FC had two headers in the final 10 minutes of the match, including one from defender Nemanja Vuković that hit the goal post and went out of play. 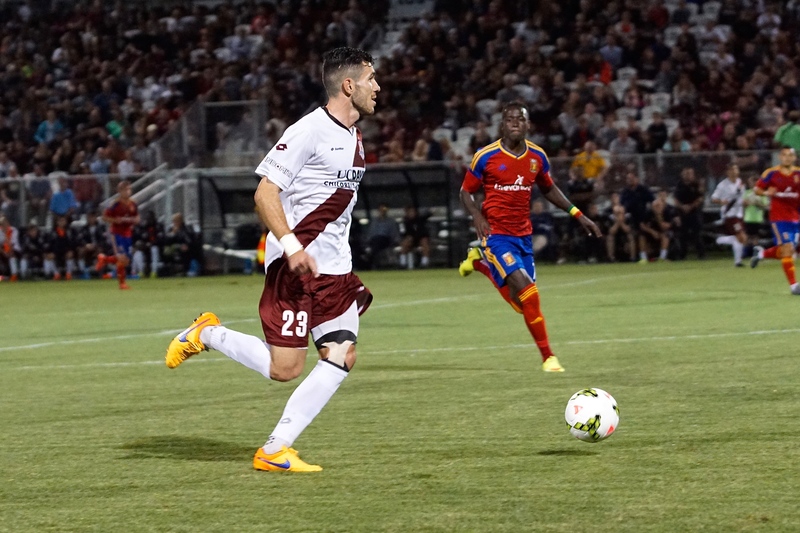 The best chance for Republic FC came in the 87th minute when second-half substitute Thomas Stewart got a header opportunity, but unfortunately could not put it on goal. Despite the chances for both sides, the match ended in a 1-1 tie. 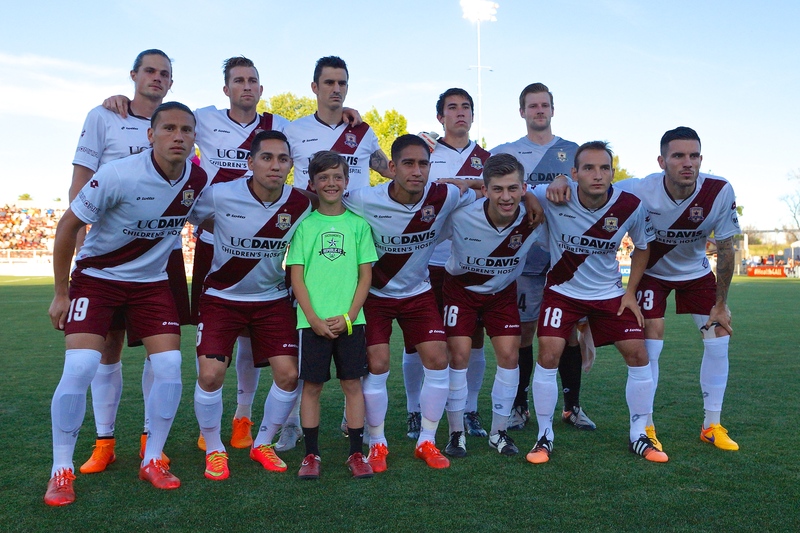 Republic FC will be back in action on Saturday, June 6, when they take on the Austin Aztex. Kickoff is 8:00 p.m. 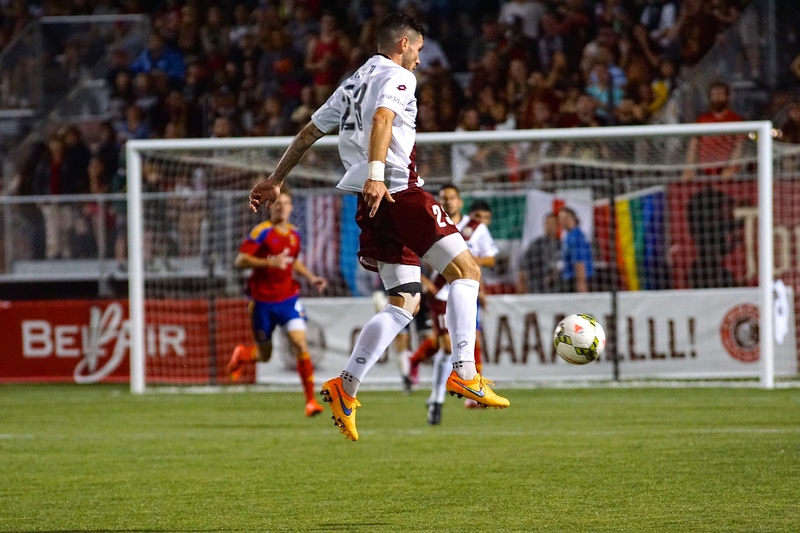 The match will be broadcast live on CW 31. Stats: Shots: 5, Shots on Goal: 2, Saves: 7, Fouls: 16, Corner Kicks: 3, Offside: 1. 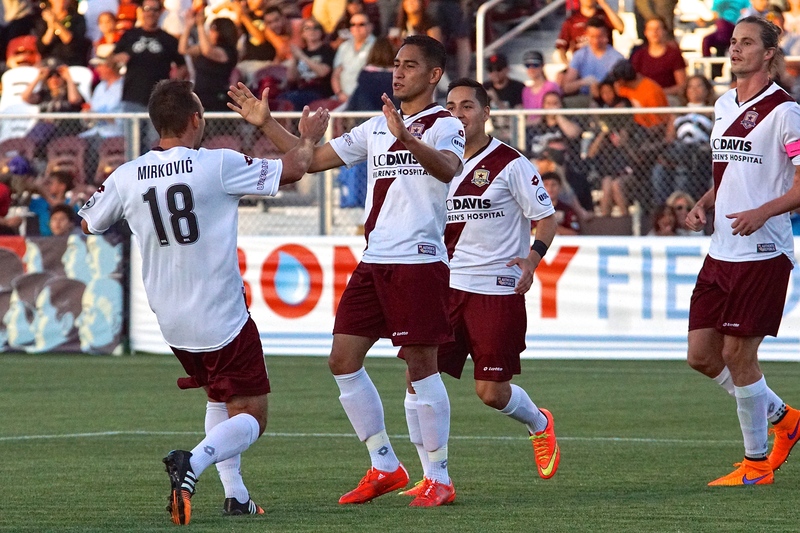 Sacramento Republic FC – Patrick McLain; Emrah Klimenta, Mickey Daly, Nemanja Vuković, Agustin Cazarez (James Kiffe 56); Octavio Guzman (Max Alvarez 59), Ivan Mirković, Zev Taublieb (Thomas Stewart 73), Justin Braun (Derek Foran 82); David Estrada, Cameron Iwasa (Adnan Gabeljic 70). Stats: Shots: 18, Shots on Goal: 8, Saves: 1, Fouls: 16, Corner Kicks: 5, Offside: 2.